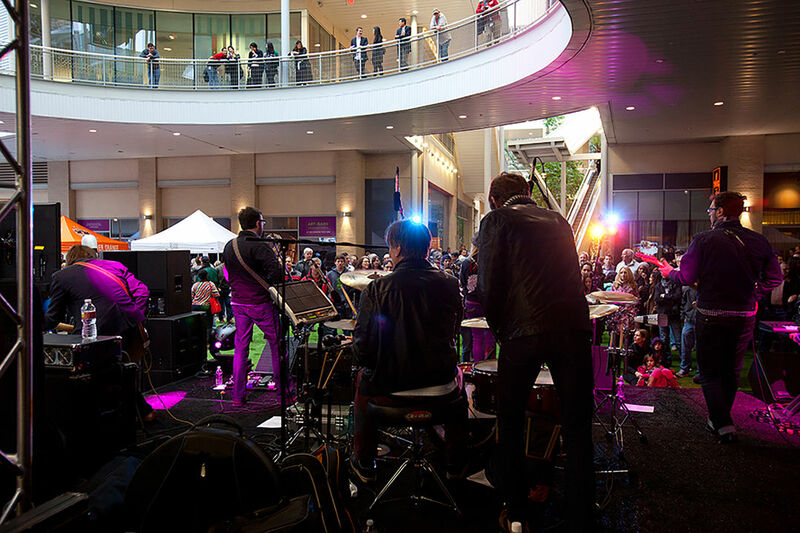 Thousands of out-of-towners and Houstonians alike will converge Downtown for the fan fest around the big game weekend. Much of the action and excitement will be concentrated in downtown around Discovery Green and George R. Brown Convention Center. Just steps away is GreenStreet and you’ll want to be sure to make it one of your top stops. Margarita Patio Bar at Guadalajara: Whether it’s fancy food truck fare, a steak to sink your teeth into, or a margarita with a side of chips and queso, GreenStreet has something for the foodie in all of us. Houston’s most popular food trucks will be lined up daily along Main Street next to Forever XXI (Jan 30 to Feb 5). And what’s a party without margaritas? Guadalajara del Centro has you covered at their Margarita Patio Bar serving unique margaritas and a special tapas menu that is sure to be a hit (Feb. 3 to 5). Other dining options at GreenStreet include: McCormick & Schmick’s, III Forks Steakhouse, Caffé Bene, Andalucia Tapas Restaurant and Bar Mia Bella Trattoria, Lucky Strike, and Salata. Jenga & Live Music: DJs and live music will get the good vibes flowing on The Lawn while visitors can compete in oversized board games including Connect Four and Jenga, or simply lounge in large bean bag chairs to people watch while sipping libations (January 27 to Feb 5). Don’t forget to take your insta-worthy selfie using the hashtag #GSArt under Polyfall and Polystalk, art installations by artist Steffany Brady which wrap the escalators near The Lawn. Shopping at BCBGMAXAZRIA, Mizzen+Main & lululemon: Anchoring the downtown shopping district, GreenStreet boasts a premier mix of nationally-recognized retailers including Forever 21 and BCBGMAXAZRIA and is the place to shop for that perfect game day look. In the week leading up to the game pop-up shops will be on scene including J.J. Watt’s preferred performance clothier, Mizzen+Main (Jan 30-Feb 5). Don’t miss the opening night happy hour on Jan 30 or the collection launch party on Feb. 2. Also, favorite athletic apparel company lululemon will also join the action with a pop-up store located by The Lawn. Pop by for mindful performance talks with brand ambassadors and athletes (Feb 2-4). Finally, it’s all about location and GreenStreet is strategically positioned along the Main Street light rail and one block west of “Super Bowl Live” at Discovery Green. Driving? GreenStreet’s parking garage is super convenient, and if you spend $100 at any GreenStreet tenant between Jan 27-Feb 1, receive complimentary parking for two days. With unique dining options, live music, games, and shopping in a convenient downtown location, GreenStreet is your one-stop big game celebration destination. Check out greenstreetdowntown.com or follow us at Facebook @greenstreetdowntown and Instagram @greenstreethou for the full line up of activities.